Labidochromis chisumulae by Patrick Tawil. 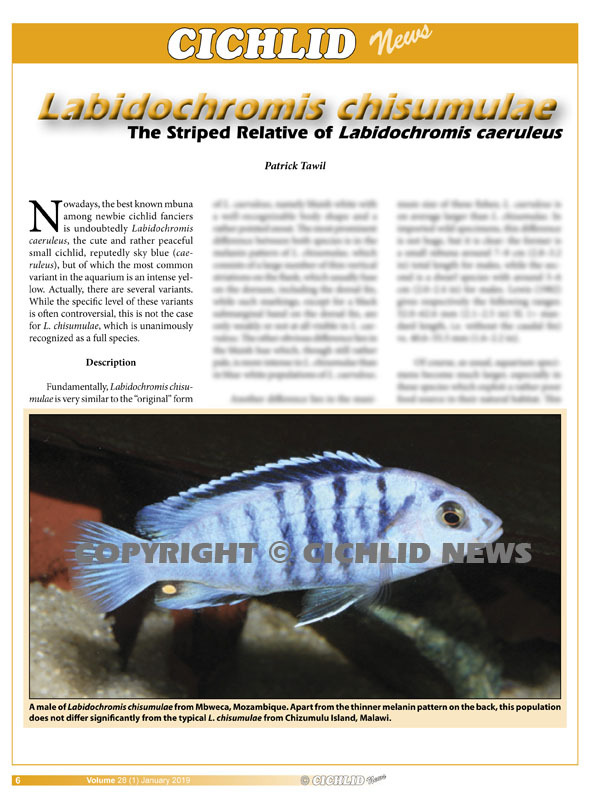 The Striped Relative of Labidochromis caeruleus. 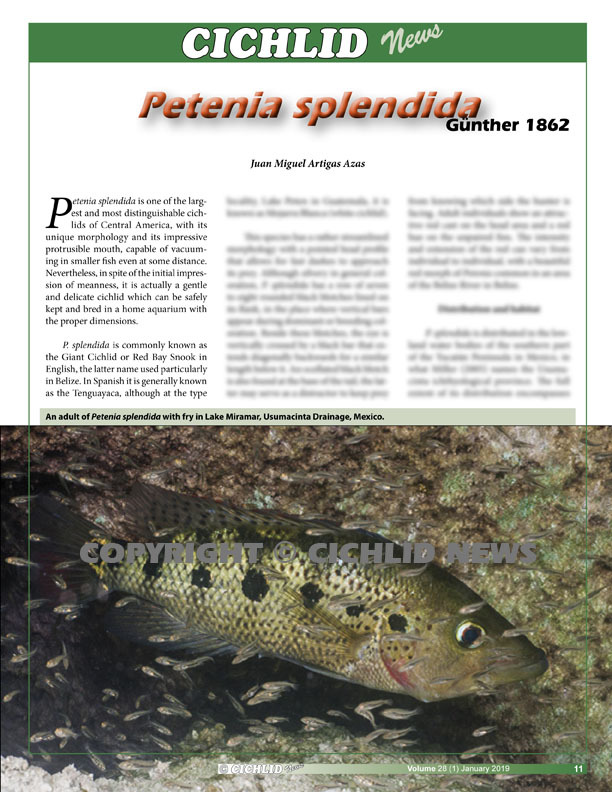 Petenia splendida Günther 1862 by Juan Miguel Artigas Azas. The Red Bay Snook. 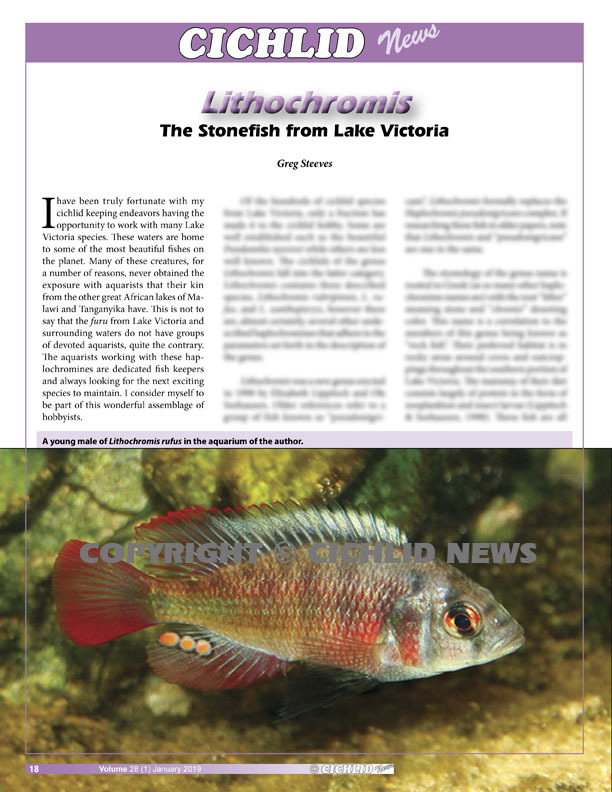 Lithochromis by Greg Steeves. 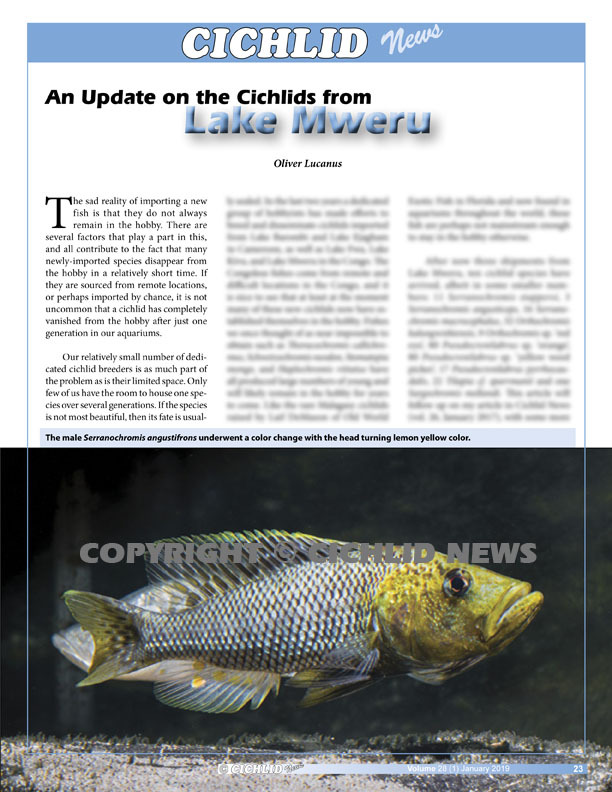 "Stonefish" from Lake Victoria. 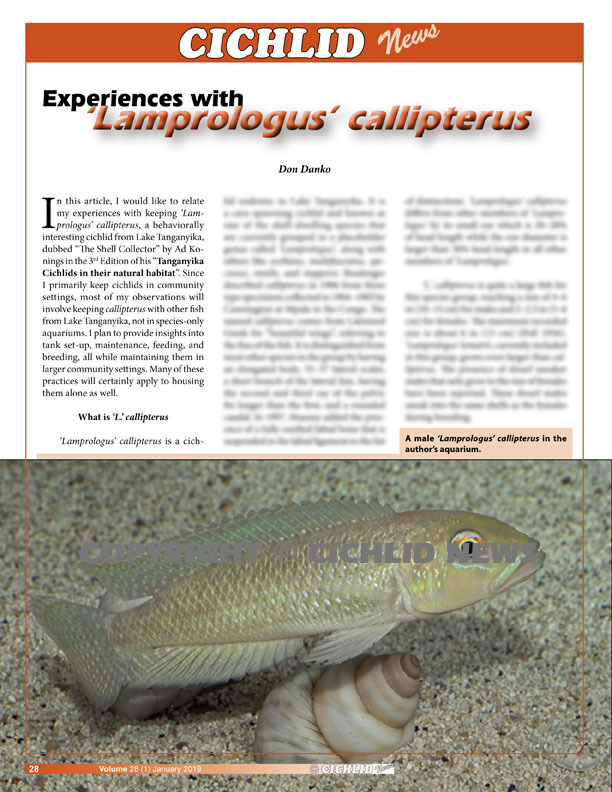 ‘Lamprologus’ callipterus by Don Danko. Experiences with a Tanganyika shell-dweller. 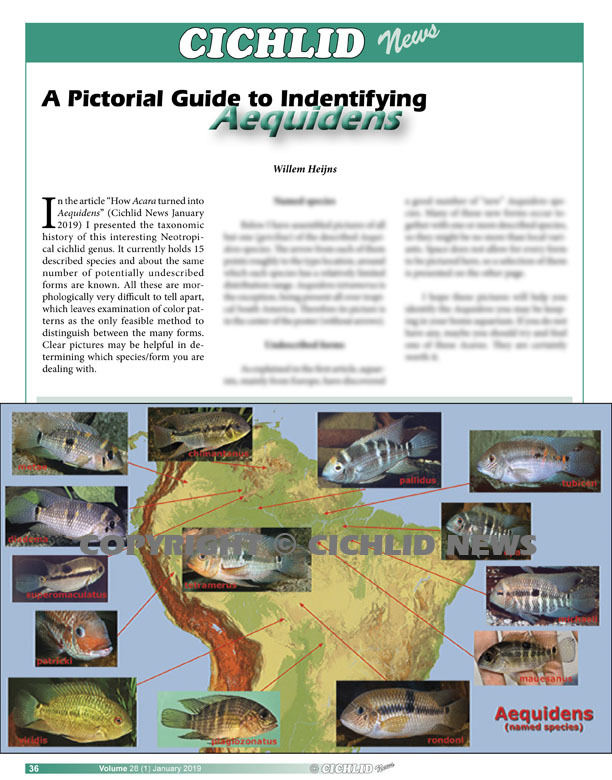 Identifying Aequidens by Willem Heijns. A pictorial guide. 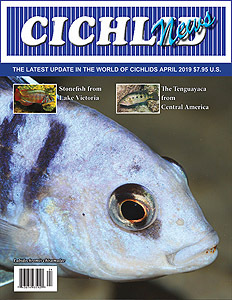 Editor's Note: This issue is now available. Copyright© 2019 Aquatic Promotions, Inc. All rights reserved.